Police have detected an increase in the manufacturing and availability of meth­amphetamine in homes. Acting Police Com­missioner ACP Rusiate Tudravu said while this was on a smaller scale, the seizures made to date warranted the need to strengthen intelligence gathering between local and international agencies. 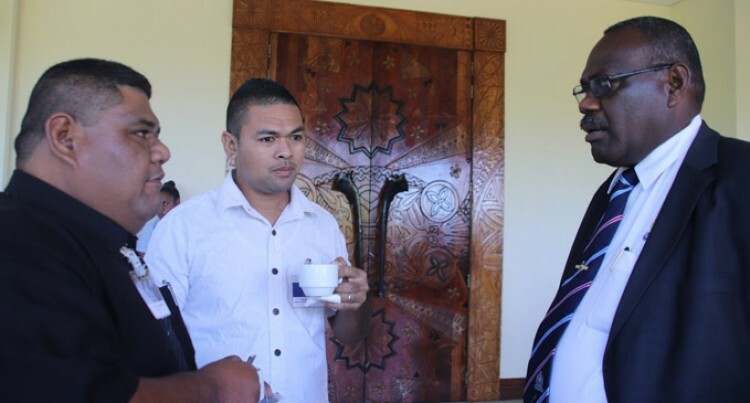 ACP Tudravu later told the Fiji Sun that the manufacturing of the drug was done through information easily available on the internet. He said most of this manufacturing was done in homes for personal consumption. Meanwhile, ACP Tudravu – while opening the INTERPOL Criminal Networks Train­ing at the Sofitel Fiji Resort and Spa on De­narau Island yesterday – said not only must police be aware of the possible movement of illicit substances across borders via sea and air, but also the need to be aware of new manufacturing trends. The training session is being carried out by facilitators from INTERPOL General Secretariat, with participants including representatives from the World Customs Or­ganization (WCO), the Australia Federal Po­lice and Police representatives from Ameri­can Samoa, Australia, Papua New Guinea, Samoa, Tonga, Timor Leste and Solomon Islands and Fiji. INTERPOL facilitates co-operation be­tween Police forces around the world. 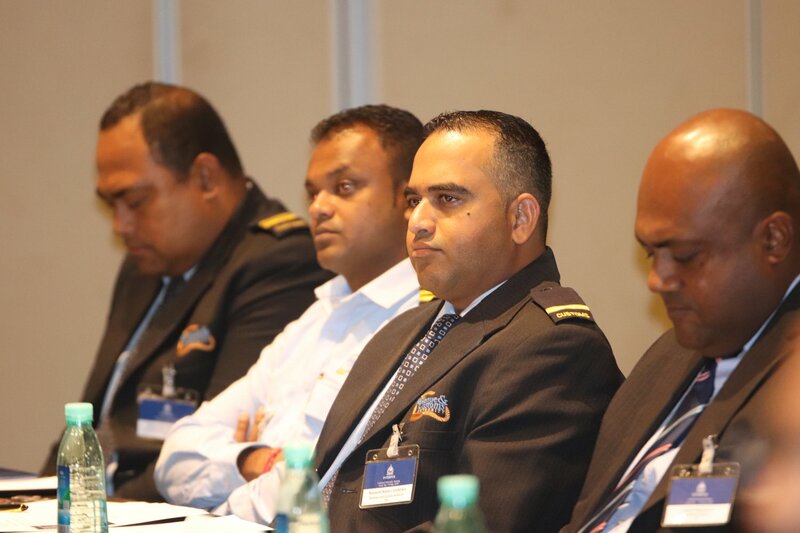 Officers from the Fiji Immigration Depart­ment and the Fiji Revenue Customs Service are attending the training session as well. “We may come from different policing jurisdictions and agencies, but we share a common goal of keeping our respective countries well protected from a rapidly pro­gressing criminal landscape,” ACP Tudravu said. “With crime becoming more borderless, law enforcement agencies need to operate in a similar manner and the best way to achieve an increased level of networking between our respective organisations can be generated through training such as this. “Then there is the issue of financial crimes often linked to cy­bercrime and while I can speak only for Fiji, where the crimes recorded have not been to the extent where it can cripple in­dustries or the economy, it does not make us less aware of the need to equip our officers with knowledge to understand the complexities of these crimes. “If I may speak in the context of policing in the Pacific, just recently one of our closest Pacific island neighbours ad­mitted that they had a growing drug prob­lem. “The Tongan Prime Minister’s public statement that he was dealing with a grow­ing drug problem definitely piqued our in­terest because one of our very own island groups, namely the Lau Group, is closer to Tonga than it is to Fiji’s capital, Suva. ACP Tudravu said just as there was a thriv­ing criminal network, border security offi­cials needed to ensure their own policing network was thriving if they were to dis­rupt those responsible for drug trafficking. “Financial crimes are even more complex due to the nature of how they are being committed which are often at an interna­tional level,” he said. “Having a close link to cyber-crime, Pacific Island law enforcement agencies depend a lot on the knowledge and resources shared by our international law enforcement part­ners. “New technologies are being developed every day, which is again proving to be a growing challenge in this modern day of po­licing and getting this valuable opportunity to learn from a team which has the techni­cal and operational support to address these sophisticated crimes is truly appreciated.